Theresa Barenz is an adult medical-surgical generalist who has cared for adult patients with injuries/illnesses from head-to-toe, in all medical-surgical clinical areas in a hospital. Theresa was an officer on active duty in the United States Army Nurse Corps, Fort Lewis, WA, for her first nursing job. She spent approximately 8 months/year working at Madigan Army Medical Center (MAMC) and 4 months/year with her field unit, the 18th MASH (mobile Army surgical hospital). Every 6-12 months, she was moved to a new clinical nursing unit. Her experience in the army not only helped her develop flexibility and leadership out of necessity, it also helped her to realize that she had an affinity for teaching. After serving in the military, Theresa worked at University of Washington Medical Center, on a gynecology/urology oncology unit. She became passionate about working in this area. During her years at UW, she earned her graduate degree in nursing education and began teaching clinicals for UW College of Nursing at Harborview Medical Center, Seattle, WA. 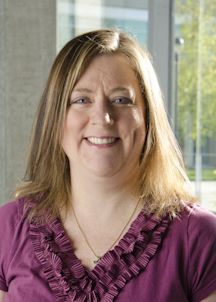 In 2006, Theresa moved back to Spokane and began teaching for WSU. She is a clinical instructor for N325 (adult medical/surgical clinicals). She also teaches an N317 Physical Assessment seminar during the Junior 1 semester, and N430 Senior Practicum and N409 Leadership: Transition to Practice, which are both part of the Senior 2 semester curriculum.